How can we utilize the concept of mobility to enhance the gaming experience? 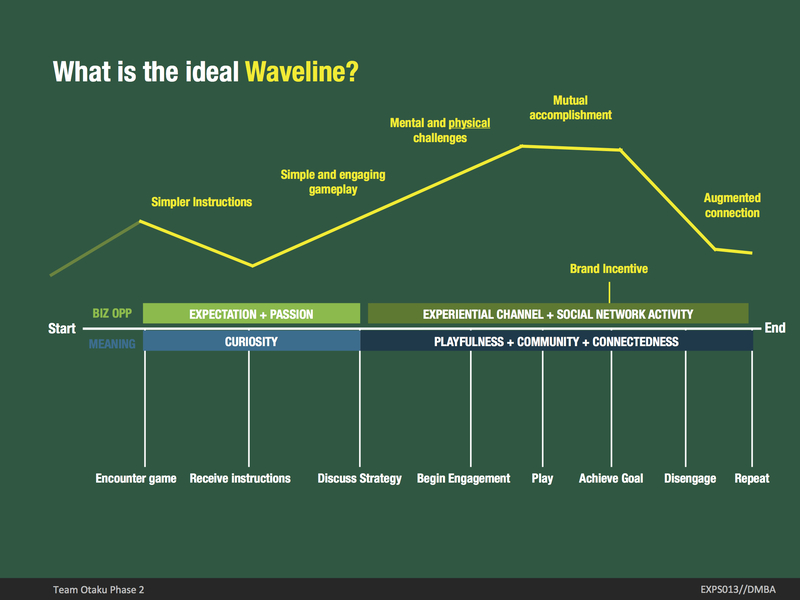 The gaming industry is headed towards more interactive and immersive experiences. We aimed to accomplish this primarily through the physical space versus the digital one (which exists with current video games). Due to the fact that physical interactions offers opportunity for richer sensorial experiences than virtual ones. We understood that physical engagements are often impossible due to cultural psychological, physical, and geographical barriers. 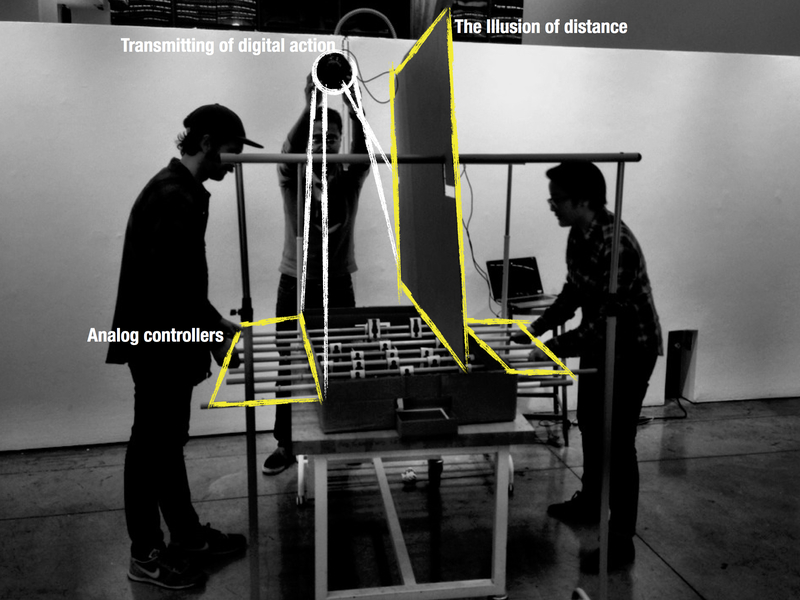 Through iteration and prototyping, we utilized technology to aid in playful physical engagements to create spontaneous connection between people who share the same interest. Gamers defined the real value of mobility as forming connection and community. 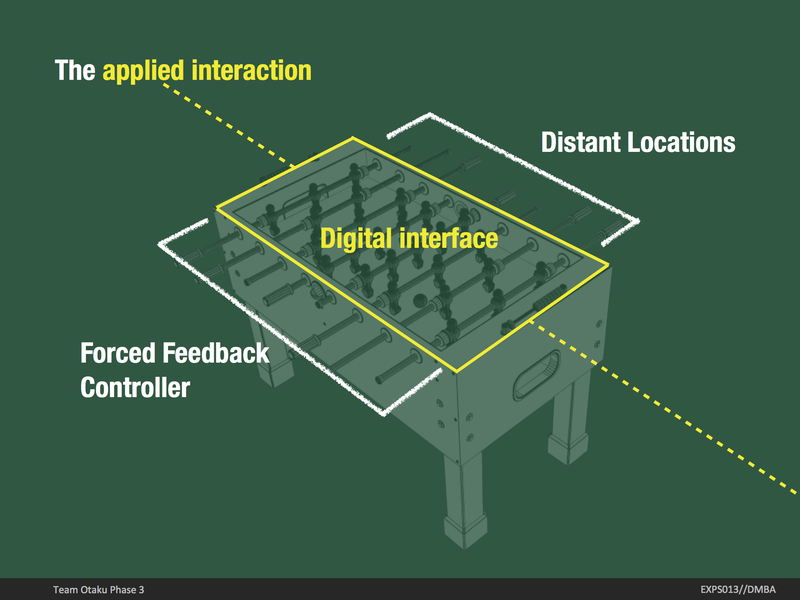 Physically aided digital interactions results in more immersive and engaging experiences. With our first game prototype, we discovered that the audience played a big contributing factor to a more delightful gaming experience. 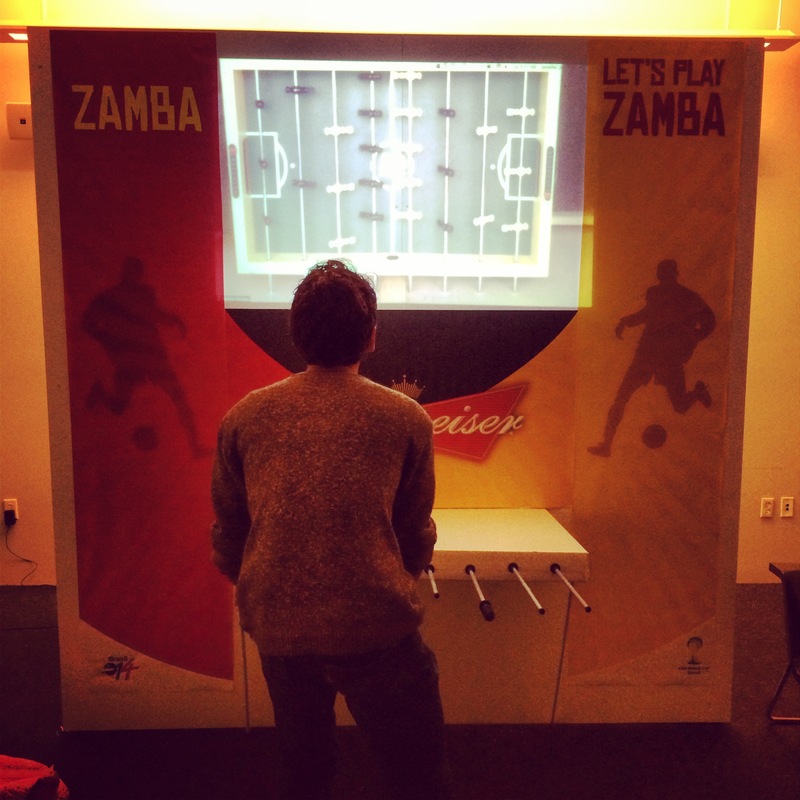 Zamba is a remote hybrid game that challenges people waiting at different airports around the world to compete in a Foosball tournament, transforming idle time into an opportunity for fun and spontaneous connections between people across the globe. The 2014 World Cup games in Brazil are expected to draw 600,000 visitors from around the world and we intend to focus on those hundreds of thousands air travelers as our intended customer segment. They will be stuck in an international airports and will have plenty of idle time to kill. We believe that with this combination of sheer numbers, united passions, and collective idle time — there is a huge opportunity space not only for our offering but also for large scale corporate sponsors to connect with their target market. Zamba from Yvonne Tran on Vimeo. Our first prototype: the "banana box" game. Two set of players working together through video from a laptop attempt to put the banana in the box. 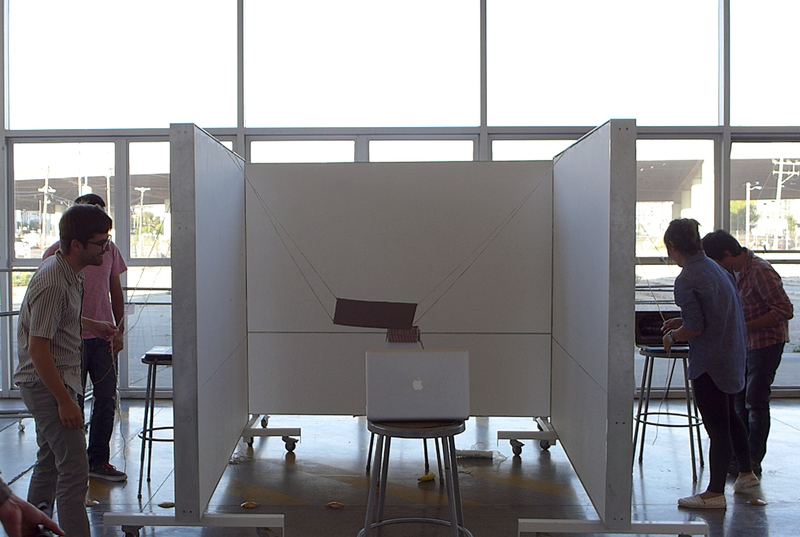 Our second prototype with a foosball table and webcams.